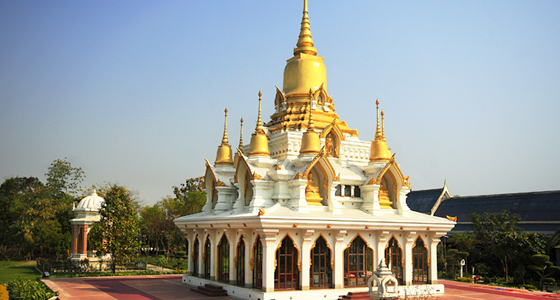 A temple tour with footprint of Lord Buddha in India is no doubt a captivating and mesmerizing experience. 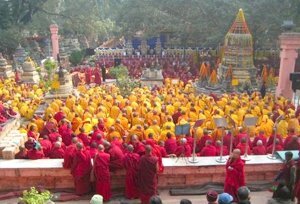 The 14 days and 13 nights tour package takes you to the sacred journey of different places where Lord Buddha meditated and attained spiritual enlightenment. 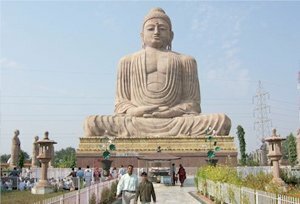 The tour also takes you to the religious sojourn in the major temples and stupas like Krishna Temple in Orchha, Kashi Vishwanath Temple in Varanasi, Dharmarajika Stupa in Sarnath, Rambhar Stupa in Kushinagar Mahabodhi Temple and Mahaparinirvana Temple in Bodh Gaya. 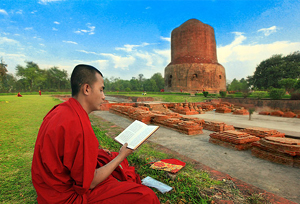 Our package transports you to all these architectural splendors to experience absolute enlightenment and inspiration. Breakfast at the hotel and transfer to railway station to connect train for Gwalior. Early morning drive 8 hours to Bodhgaya en-route visit Gaya. Morning after breakfast drive to Patna, en-route visit Rajgir & Nalanda. Early morning drive to Kushinagar with hot lunch on w ay. On arrival check in at hotel. Overnight stay at hotel. Morning after breakfast temple tour of Ayodhya visiting Babri Masjid and Ram Janmabhumi, Kanak Bhavan, Nageshwarnath Temple, Treta ke Thakur, Lakshmana Ghat, Mani Parbat & Hanumangarh. Later in the afternoon drive to Lucknow. On arrival transfer to the hotel. Evening city tour of Lucknow. Overnight stay at hotel. 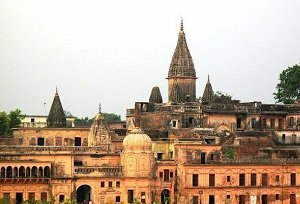 Ayodhya, which means 'that which cannot be subdued by war', where the turbulence always subsides letting the city return to its original, peaceful holy avataar. 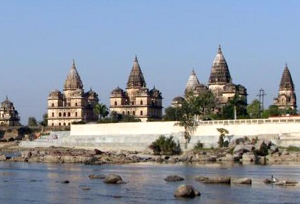 Ayodhya - a small, calm city where sadhus mingle with pious pilgrims and the occasional tourist, where even the sunset on the banks of the Sarayu river is good for the soul.